This is one of the essential elements to increase comfort of our containers. 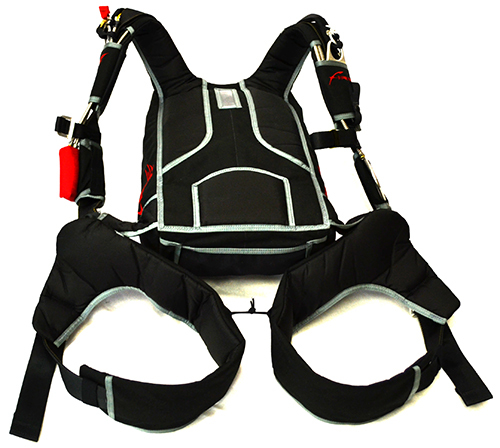 The lateral cover allows to press the container to the back of a skydiver tight but smoothly, without any discomfort that the webbings of the harness may cause. There are two types of laterals: standard one, where the lateral comes out at the sides of the container, and Cut-in back, where the lateral is attached closer to the centre of the container. Cut-in back allows to press the container against the back tightly, especially when the jumper has a narrow waist, but the container is wide. In some cases there might, though, be a risk of entanglement of the bridle under the container corner and that is why we do not recommend using cut-in construction for rental or student systems.